Ruby Lee Hunt-Whitney has died. Distantly related to the James through her ancestry among the Ironmonger family and the royal families of England, Ruby bore the unique distinction of also being related to the family of Sheriff Wyatt Earp, and his Earp relatives in Somerset, Pulaski County, Kentucky. Ruby is more closely related to the James through her ancestry in the Randall family, an in-law family of the James, many of whom still reside upon the original settlement lands of John M. James in Shopville, Pulaski County, Kentucky. Somerset — Ruby Lee Hunt Bowling Whitney, passed away Wednesday, January 12, 2011 at Fountain Circle of Winchester, Ky. She was 80. 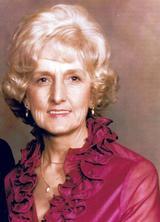 Ruby Lee was born on November 17, 1930 in Somerset, Ky., beloved daughter of the late Charles and Buleah Coyler Hunt. 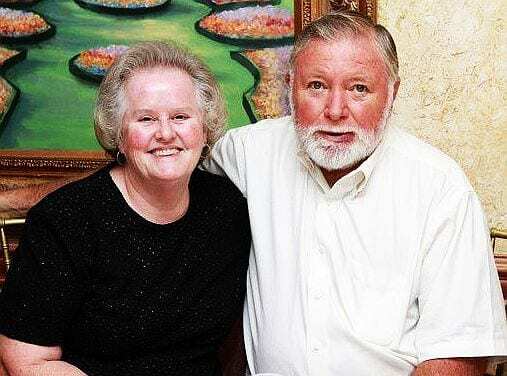 She was a long time member of the Beacon Hill Baptist Church in Somerset, Ky.
For many years, Ruby Lee and her late husband Howard enjoyed outings in their boat on Lake Cumberland. Ruby Lee loved the water. She also loved playing card games with her children and grandchildren. In addition to her parents, Mrs. Whitney was preceded in death by her husband, Howard Whitney, in 2005; six brothers; Lester Hunt, Marshall Hunt, Robert Hunt, Roy Hunt, Curtis Hunt, Everett Hunt; three sisters; Bessie Hunt, Grace Hunt and Edna Hunt Correll. She is survived by three sisters; Ella Bee Hunt Turner (and Bob) Hedge, Elva Hunt (and Arlee) Smith, Margaret Lou Hunt (and Gerald) Wilson; four daughters, Barbara Bowling (and Tom) Campbell of Winchester, Ky., Constance Bowling (and David) Boepple of Wesley Chapel, North Carolina, Debbie Whitney Turner of Batavia, Ohio and Sandie Whitney Long of Dolthan, Alabama; seven grandchildren; Patrick (and Kara) Abele, Shannon (and Heidi) Boepple, Tiffany (and Duane) Gorman, Sierra Boepple, Jerry (and Delphia) Turner III, Brandi Turner McGlone, Christopher (and Jessica) Turner; and nine great-grandchildren, Taylor Abele, Hannah Hacker Boepple, Hunter Elmore, Liam Boepple, Keauna Gorman, Caleb Gorman, Keyley Gorman, Brayden McGlone, and Kelton McGlone. Ruby Lee’s family wishes to express their sincere gratitude to the staffs of Fountain Circle and Hospice East for the special care and kindness she received while she was a resident. Memorial Service will be held at 1 p.m., Tuesday at the First United Methodist Church (204 South Main Street, Winchester, Ky. 40391). The family request no flowers. In lieu of flowers the family has requested memorial contributions to First United Methodist Church, 204 South Main Street Winchester, Ky., 40391, Hospice East, 407 Shoppers Drive, Winchester, KY 40391 or Rose Mary C. Brooks Place, 200 Rose Mary Drive, Winchester, Ky. 40391. Sign the guestbook at ScobeeFuneralHome.com.